Erwin and Priscilla Boschmann Scholarship of Teaching and Learning Grant: Andrea Quenette, assistant professor of communication studies. 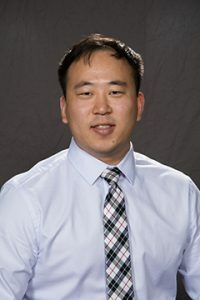 Center for Faculty Development Faculty Fellowship for 2019: David Kim, lecturer of criminology. Chancellor’s Community Engagement Course Development Grant recipients: Margaret Thomas Evans, chair of the English department and assistant professor of English, and Deborah Miller, assistant professor of psychology. The faculty members are part of the School of Humanities and Social Sciences (HSS). Quenette is the recipient of this year’s Erwin and Priscilla Boschmann Scholarship of Teaching and Learning Grant. The grant is possible through the generous contribution of Erwin and Priscilla Boschmann. This award is offered annually to full-time faculty to support research in the Scholarship of Teaching and Learning (SoTL) at IU East. Quenette received her Ph.D. from Ohio State University. She teaches and researches in the area of political communication and the effects of news content on the public. She also studies the communicative process of teaching and learning and is interested in using alternative types of grading to facilitate the educational experience for students and instructors. Her project, “Grading as a Communicative Act,” is designed to examine the underlying attitudes and emotions that underlie or are related to how faculty and instructors evaluate student work. Kim received the Center for Faculty Development Faculty Fellowship for 2019. Each year, the Center for Faculty Development offers one faculty fellowship in the Scholarship of Teaching and Learning (SoTL), providing faculty members with an opportunity to cultivate and share their knowledge, techniques, and information on a particular teaching topic. Kim is currently a criminal justice lecturer. He received his bachelor’s and master’s degrees in Criminal Justice at Washington State University. His research interests are policing and innovative teaching pedagogy. His project, “Interactive online discussions: Let us change the way we talk!,” is designed to examine and reframe the way instructors perform interactions in the online classroom. Thomas Evans and Miller received a Chancellor’s Community Engagement Course Development Grant. This grant promotes the intersection of community engagement and pedagogy, the chancellor’s office has designated course development funds to support faculty interested in incorporating community engagement activities into their courses. 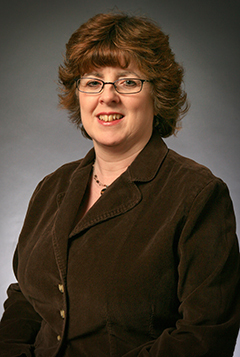 Thomas Evans earned her Ph.D. in Composition, Rhetoric and Technical Communication at Miami University and teaches undergraduate technical and professional writing courses and graduate composition studies courses. 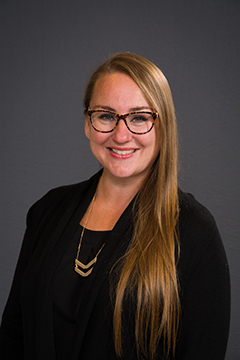 Her research interests are online teaching pedagogy and practice, community writing and service learning, women and rhetoric, and academic leadership. She has published work about teaching online, leadership, and rural women’s rhetoric. Her project, “Community Grant Writing,” allows students to form partnerships in their own communities by assisting local organizations with grant writing. 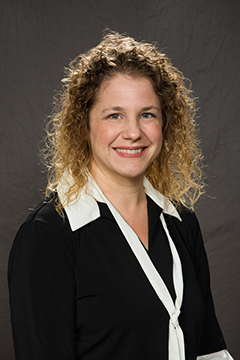 Miller is a licensed psychologist and an assistant professor in IU East’s psychology department teaching undergraduate and graduate courses. Her research and clinical interests include LGB issues, transgender research, and working with adults and couples. Her project, “Supervised Research and Student Learning,” combines research and service learning in a highly mentored experience. Psychology students will collaborate with mental health facilities to address real life, critical issues.